People have different tastes and preferences. They love things that others may hate and vice versa. The same thing happens to me and my husband. I love Sweden and everything that is Swedish while he is in love with France. His dream is that one day he can reach Paris, the city of lights and lovers. He loves French language, French music and especially Tour Eiffel.If we mentioned about Paris, we could continue to speak about it but from a different perspective. 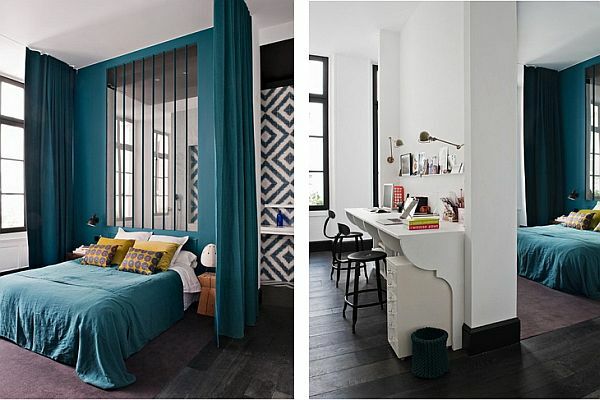 We present you a sweet Parisian apartment designed by French studio Double g. The combination of vivid colors and style adopted amaze any viewer. 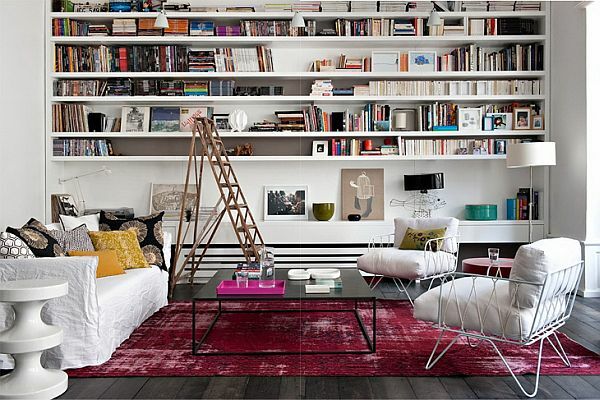 The white living room has an impressive library and some lovely retro armchairs, all wrapped in a vintage air. The red carpet and some other colorful details contrast the white interior which makes everything look more airy and spacious.The gorgeous nuance of blue chosen for the bedroom makes you love this room. The color is lovely and the white and yellow pillows contrast it beautifully. If you reach the dining room, you will definitely be astonished. The wonderful light fixture, made of three huge balls, the modern white dining table and the brown rustic chairs will make you fall in love with this room. 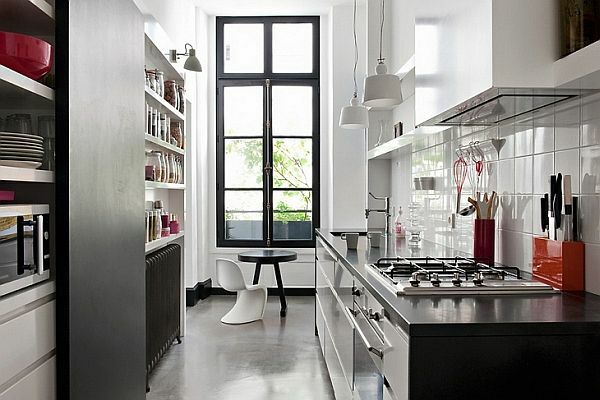 The kitchen is adorable too. It is a combination of black and white with a sweet tiny round black table and a modern small white chair.It is an apartment where the combination of colors and styles create a harmonious space where you can relax and feel nice.